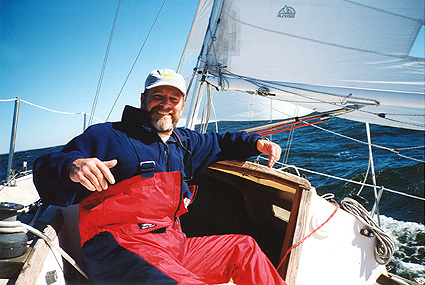 Kevin Clarke has over 25 years experience in the marine industry. Before starting RIMS, Kevin worked in several of the most renowned boatyards and marinas on the East Coast. Through the years, Kevin has developed a reputation for excellence in estimating refits, appraising vessel condition & value and overseeing refits and repairs. Managing refits and new-builds from $20,000 to $3 million during the course of his career, Kevin has been involved in surveying, refitting and appraising yachts of all makes and sizes. In addition, his experience and capabilities with most shipyard tools and equipment and capabilities enable him to accurately appraise and supervise any level of boat repair or modification required, on time and within budget. ABBRA � American Boat Builders and Repairs Association, Inc. He is constantly improving his skills and regularly attends marine industry seminars such as IBEX Workshops and the Marine Surveying for Professionals seminar. Kevin is a licensed Captain and Diver.